J. Donald Cowan Jr. (BA ’65, JD ’68) of Raleigh is the 36th recipient of the Judge John J. Parker Award, the highest honor presented by the North Carolina Bar Association. The award was presented on Saturday morning, June 21, at the N.C. Bar Association (NCBA) Annual Meeting in Wilmington by Rhoda Billings (’66), past president of the NCBA. A group of some 25 mentees of Cowan’s was on hand when the award was presented, including Wake Forest Law Executive Associate Dean of Academic Affairs Suzanne Reynolds (’77) and Dixie Wells (’99). Also present was his family including his son, Coleman Cowan (’95). Cowan is a native and current resident of Raleigh. 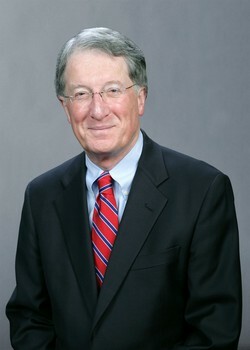 He is a 1965 graduate of Wake Forest University and 1968 graduate of the Wake Forest University School of Law. He served from 1968-73 in the U.S. Army, where he attained the rank of captain. He joined what became Smith Helms Mulliss & Moore in 1973. He became a partner in the firm and remained with Smith Moore when the firm split in 2002. He joined Ellis & Winters in 2008. Cowan is a Fellow and former officer of the American College of Trial Lawyers and former member of the American Bar Association House of Delegates. He served as president of the NCBA in 1992-93, chaired the Young Lawyers Division in 1979-80 and served on the Board of Governors from 1983-85. He chaired the Litigation Section in 1985-86 and the CLE Committee from 1988-91. Cowan is also a past president of Legal Services of North Carolina (now Legal Aid of North Carolina). He has served multiple terms on the Wake Forest University Board of Trustees and served as president of the Wake Forest Law Alumni Association. 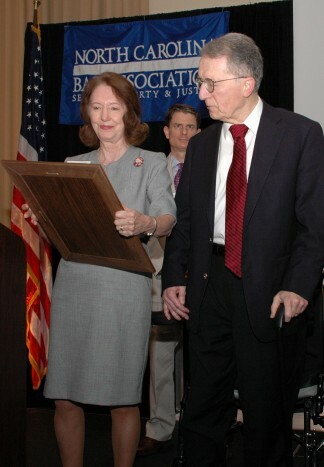 He was honored in 2008 by the NCBA Litigation Section as the second recipient of its Advocate’s Award and in 2009 was named CLE Volunteer of the Year. For years his Advanced Trial Evidence program and Annual Civil Law Update were among the best attended and highest rated programs offered by the NCBA Foundation’s CLE Department. The North Carolina Association of Defense Attorneys presented its 2006 Award for Professional Excellence to Cowan. Underscoring the significance of the award is the fact that recipients are chosen as merited, not annually. Judge Parker served with distinction on the U.S. Circuit Court of Appeals for the Fourth Circuit from 1925 until his death in 1958, including 27 years as chief judge. In 1944-45, Judge Parker served as an alternate judge on the International Allied Military Tribunal, better known as the Nuremburg Trials. He practiced law in Greensboro, Charlotte and his native Monroe, and served as special assistant to the U.S. Attorney General prior to his appointment to the bench.